Believe it or not, the legendary Walt Simonson drew some Doctor Who illustrations back in 1980. These were published in Marvel Premiere issues #57 and #60. The feature stories in these issues were colorized reprints of the British Doctor Who Weekly comic strips (eventually retitled Doctor Who Magazine). 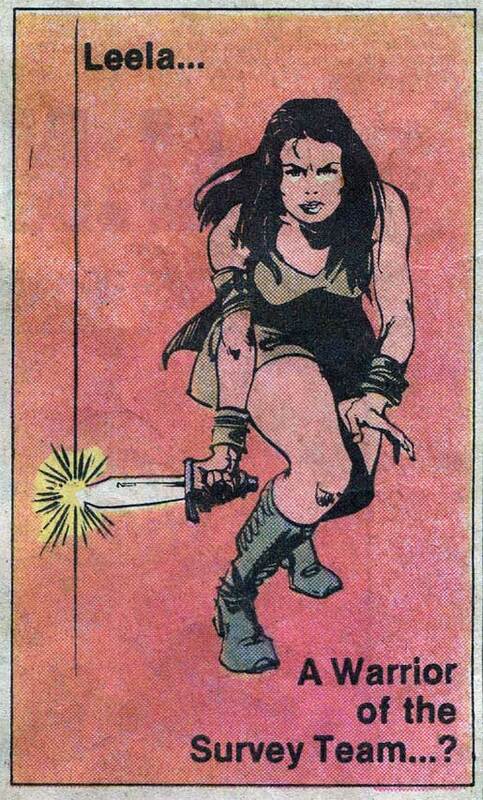 Simonson’s drawings were used for covers and interior pin-ups. Below is the fourth Doctor (Tom Baker) being chased by a Zygon. 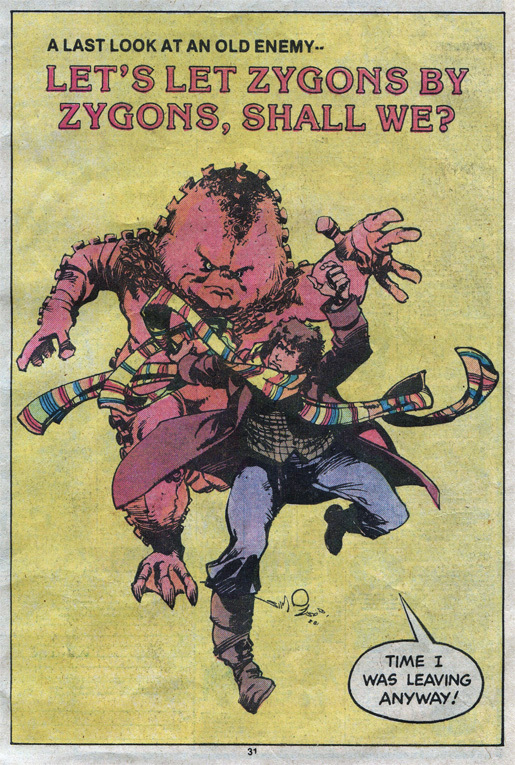 Probably my favorite Walt Simonson Doctor Who drawing. Also a very iconic image of the Zygons. 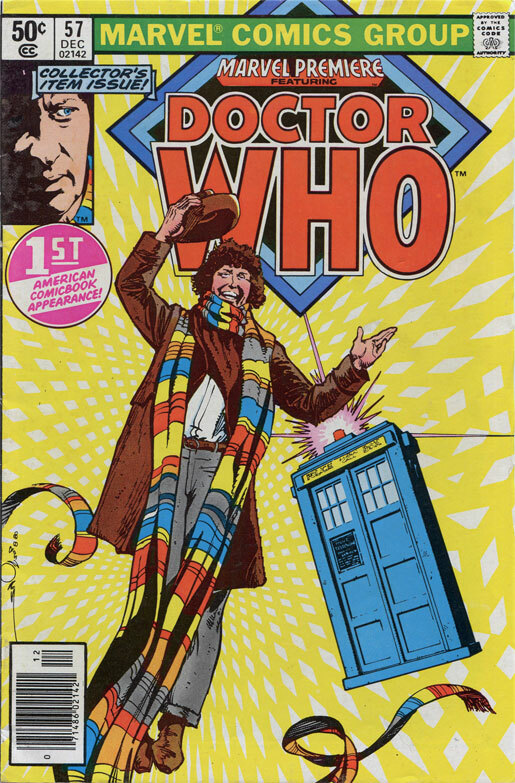 Below is the cover to Marvel Premiere #57 featuring the fourth Doctor (Tom Baker) and the TARDIS. 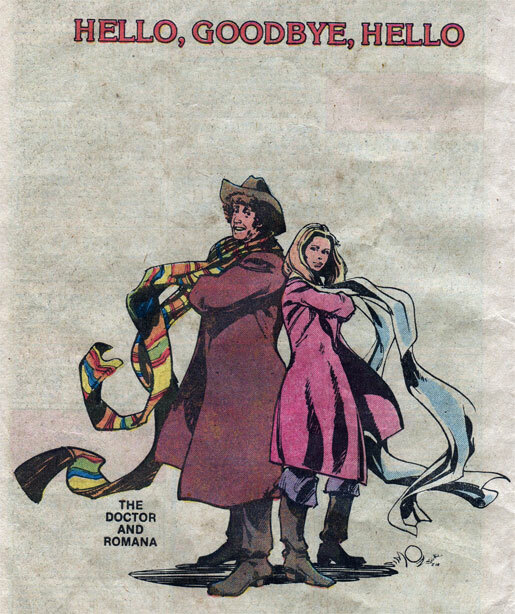 Below is a great shot of the fourth Doctor (Tom Baker) and his companion Romana II (Lalla Ward). I love the flowing scarves and complementary costumes! Romana II wore this outfit in her first appearance, Destiny of the Daleks. I think she should have worn it more often. They looked great together. 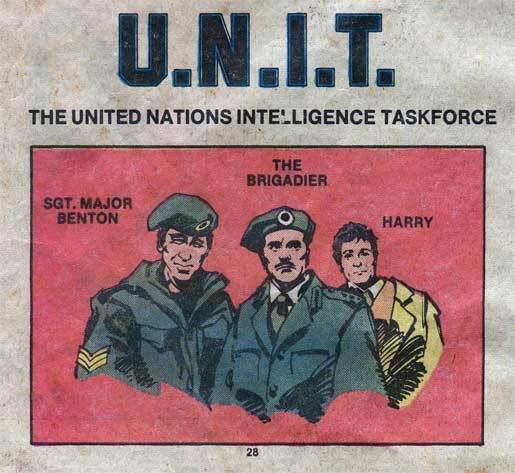 Below is a nice U.N.I.T. shot. Finally, below is a shot of Leela that makes her look infinitely cooler than she did in the TV series itself. During my research for this post, I came across a similar post by my buddy Siskoid over at his Blog of Geekery. In that post it states that Walt Simonson had never watched Doctor Who before. Wow! You’d never know that from the drawings. Great job, Walt!